Mike Intranuovo began employment as the Records Manager/Assistant University Archivist at Bowling Green State University Libraries on May 1, 2013. 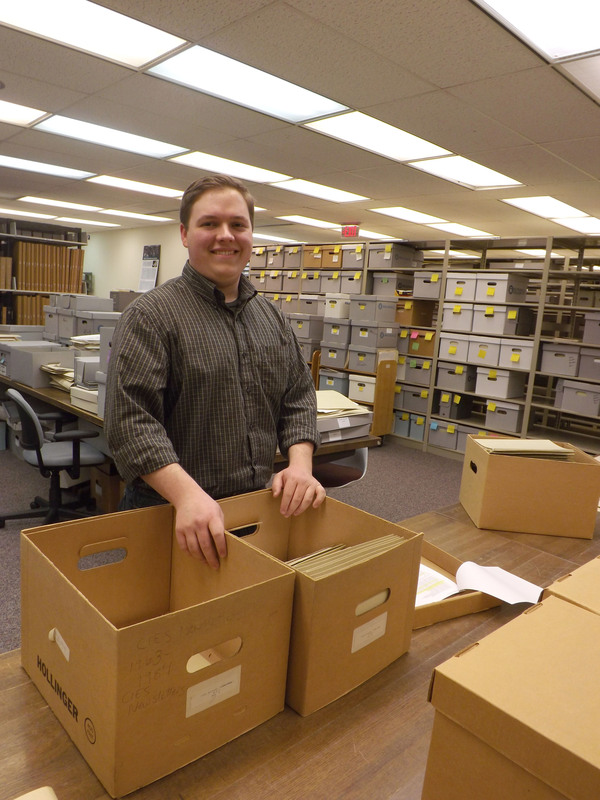 Mike brings a great deal of experience in records management and archival preservation. He holds an MLS with a specialization in archives from Queens College of the City University of New York. Joseph M. Dudley (Campus Librarian) presented “Maintenance and Development of the Library Web Portal at Bryant & Stratton College Cleveland Downtown Campus” at the TCC 2013 Worldwide Online Conference and also served as a member of the conference staff. The complete paper appears in the conference Proceedings. Jodene Carrasquillo was hired as Finance and Assessment Manager, Library Planning, Budgets & Assessment team on February 25, 2013. 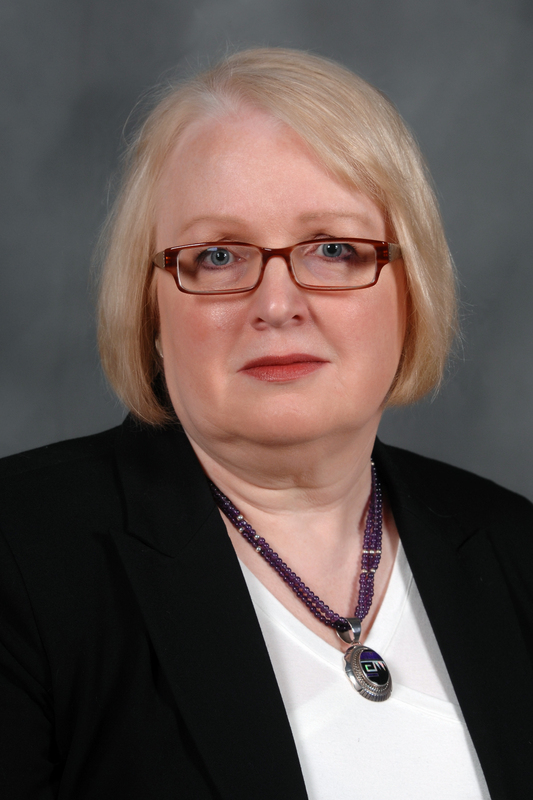 Arlene Sievers-Hill Collection Officer, Research Services team, retired on March 3, 2013 after 23 years at the library. Kelvin Smith Library partnered with the University Hospitals Case Medical Center’s Pet Pals Program to sponsor four visits by therapy dogs to relieve stress for students during final exams. This April, Kelvin Smith Library’s Freedman Center for Digital Scholarship held a colloquium that focused on how producing and supporting digital scholarship is a necessarily collaborative process and is better because of it. Speakers from Emory University, THATCamp, Research Data Alliance, College of Wooster, NITLE and the University of Cincinnati were joined by representatives from Kelvin Smith Library to share their thoughts on how collaborative processes have brought a new level of discovery and understanding in support of scholarship. For more information and to view colloquium videos, visit http://library.case.edu/ksl/colloquium/2013.html. Ohio Five science librarians Alison Ricker (Oberlin), Moriana Garcia (Denison), and Deborah Peoples (Ohio Wesleyan) presented a panel discussion at the recent ACRL conference in Indianapolis. Their topic, “Embracing Troublesome Knowledge: Information Literacy Threshold Concepts in the Natural Sciences” was inspired by a Five Colleges of Ohio workshop at OWU last summer with Char Booth. Their panel session included discussion of theory as well as descriptions of how the incorporation and identification of threshold concepts has impacted the pedagogy of the three science librarians. The session was well attended and break out groups during the session were both lively and captivated by this new approach to information literacy. Wright State chemistry librarian Mary Ann Baker Jones and College of Wooster science librarian Rebecca Pappert assisted their colleagues by helping to moderate two of the break out groups. Karen MacDonald has been named the new Business Librarian. She also serves as director of professional development in the Business and Finance division of the Special Libraries Association. Kenneth Burhanna has been promoted to Assistant Dean for Engagement and Outreach. Previously serving as a First Year Experience Librarian and Head of Instructional Services, Ken begins service to Kent State University as the newest member of Dean James Bracken’s leadership team, Burhanna seeks to provide leadership, direction and motivation to the public service departments of the library. the collection’s processing fully up to date. Lakeland Community College Library faculty have been selected to participate in the Association of College and Research Libraries’ (ACRL) program “Assessment in Action (AiA): Academic Libraries and Student Success.” The library’s application was selected from a nationwide pool of 98 applicants for the program’s inaugural year. AiA is a national learning community created to facilitate collaboration among colleges and universities implementing action learning projects to document “the impact of the library on student success and contributing to assessment activities” on campus. Library faculty will partner with English faculty and staff in Institutional Research to complete a project that measures the impact of library instruction on student success. This year-long, collaborative project supports the assessment of the college’s learning outcomes from the departmental to the institutional levels. Congratulations to librarians who received promotion and continuing contract: Stacy Brinkman, Arianne Hartsell-Gundy, Jacqueline Johnson, Krista McDonald, Andy Revelle, Kwabena Sekyere, Mark Shores, and Beth Tumbleson. And, an additional congratulations goes to John Burke and John Millard on their promotions to principal librarian. Heather McEwen presented at a combined conference, “One Health: Information in an Interdependent World, a federated international meeting incorporating the 2013 Annual Meeting and Exhibition of the Medical Library Association (MLA ’13), the 11th International Congress on Medical Librarianship (ICML), the 7th International Conference of Animal Health Information Specialists (ICAHIS), and the 6th International Clinical Librarian Conference (ICLC) in Boston, MA on May 3-8, 2013. She presented “Interprofessional Small Group Assignments for Medical and Pharmacy Students” with Michelle Cudnic, Kristin Baughman, Michael Hewit, and Lisa Weiss. She also presented “It Takes a Village – Collaborating to Avoid Plagiarism” with Rienne Johnson, Julie Aultman, Michelle Cudnic, Lisa Weiss, and Beth Layton. During the poster sessions she presented “Evidence Based Medicine Integration into Medicine Curriculum” with Rienne Johnson, LuAnne Stockton, Beth Layton, Janice Spalding, Lisa Weiss, and David Sperling, and “Contribution of Librarians to a Fellowship in Academic Medicine Program” with Rienne Johnson, and Ellen Whiting. On February 8th, Terra State Community College went live with Innovative Millennium ILS on the Ohio Shared Library Server (OSLS) administered by OHIONET. Terra State Community College is the eighth college to migrate onto the system. Please visit http://www.ohionet.org/osls-shared-server for more information about the project. Embracing eBooks is a workshop presented by the State Library of Ohio, OLC and OHIONET, funded in part through an Institute of Museum and Library Services LSTA grant awarded by the State Library of Ohio. The daylong event will provide opportunities to listen to other professionals discuss best practices, learn the legal ramifications of circulating eReaders, hear about the work being done with publishers to widen the library eBook market, and network with colleagues about their successes and failures. A wide range of devices will be available in a hands-on lab. The keynote will be presented by ALAO president, Sue Polanka. More information and a link to registration can be found at http://www.ohionet.org/embracing-ebooks. Monday: Noir Book of the week. Wednesday: Film Noir of the week. Thursday: Noir Graphic Novel of the week. Friday: Site info, updates, Misc. Registration for OLSSI 2013 runs through July 7th and is still $225.00 (12 straight years). The Jeanette Albiez Davis Library at the University of Rio Grande/Rio Grande Community College in Rio Grande, Ohio will soon begin offering access to a new digital oral history project designed to collect, preserve and exhibit stories of local Appalachian culture and heritage. Funded in part by the Ohio Humanities Council, the Ohio River Tales project was initiated by the university’s Office of Cultural Advancement to create greater awareness to the local area’s rich and diverse heritage. Access to the Ohio River Tales project’s website and digital resources will be made available through the Jeanette Albiez Davis Library website at http://www.rio.edu/library in early June. For more details, contact Amy Wilson, Reference Outreach Specialist, Jeanette Albiez Davis Library, at 1.800.282.7201, extension 7382 or awilson@rio.edu. “An Award of Their Own: The Creation of a Book Award for the Arab American Community” for the Conference for Entrepreneurial Librarians: “Social Entrepreneurship in Action” at the University of North Carolina at Greensboro, North Carolina, 16 & 17 May 2013, with Mark Horan, The University of Toledo, Associate Professor. “The Librarian as Scholar” roundtable discussion at the 2013 ACRL (Association of College and Research Libraries) National Conference, 10-13 April 2013, Indianapolis, Indiana, with Daniel E. Feinberg, The Universities at Shady Grove, Rockville, MD. “Learning about Death: What Children Learn about Death from Their Literature” for the Death in Children’s Literature from Around the World panel at the Northeast Modern Language Association (NeMLA) conference in Boston, 21-24 March 2013. 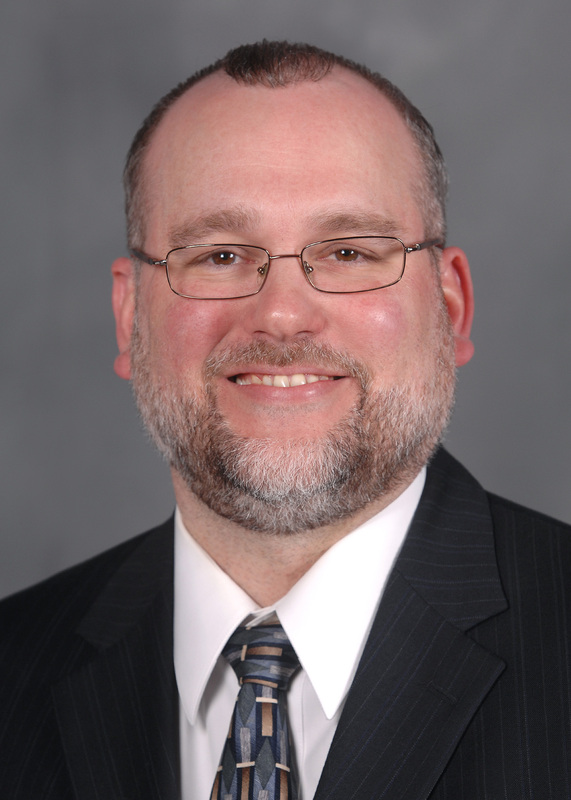 Douglas K. Lehman, Library Director at Wittenberg University, was elected to serve a three-year term as ACRL Councilor. He will represent ACRL on the ALA Council. His term begins at the end of ALA Annual in July 2013.